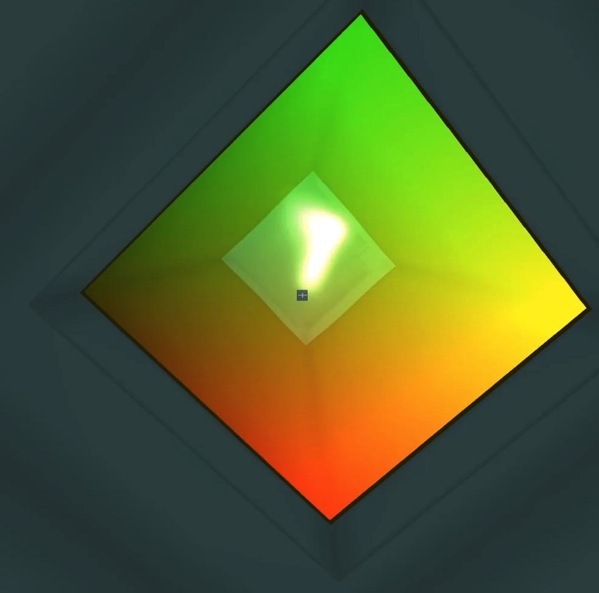 Metareal lets you maneuver unhindered in three dimensional space. There is no gravity, no walking. (And no head-bobbing.) It’s perhaps like a drone moving through a space station. But I wanted to keep the movement simple and easy. The familiar four-key-and-mouse maneuvering works pretty well, after all. The solution was to treat the mouse relative movements as side-to-side, and up-and-down, relative to the dominant ground plane. It turns out that figuring out which ground plane is best is pretty easy! The camera position and angle can be expressed as a conventional 4×4 column major matrix. From this, we look at the second column, which is where the camera’s Y-Up vector gets mapped to, and see which element has the greatest magnitude. It is that simple! Problem 2: Don’t go diagonal! A problem with this approach is you can end up stuck in a “roll”, where, on the new ground plane, you’re not standing upright. Or, rather, you are standing upright, and if you spin left and right the floor stays beneath you, but your head is tilted. To fix this, we need to discover what is our local-Z-rotation relative to the current ground plane. To correct it, we want to rotate the camera along its line of sight, not changing what it is looking at. 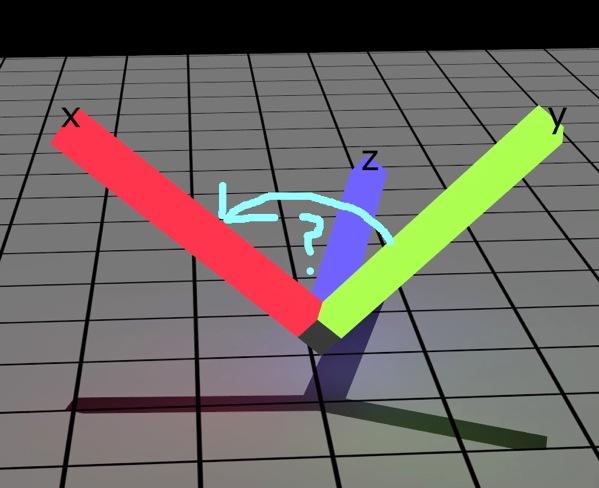 A little vector arithmetic does the trick; we cast the camera’s projected X-axis to the ground plane along the projected Y-axis (up vector), and take the dot product between the X-axis and its line along the ground plane. That’s how much we need to roll. Easy! But how to apply the correction? 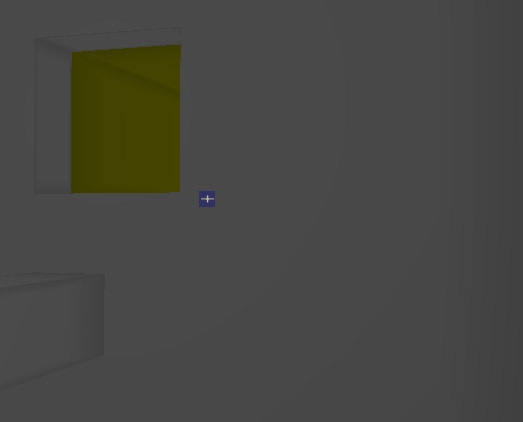 I tried three approaches to correcting the up-axis, so that you’re usually looking at square walls and doors and things. Manual correction: use some more keyboard keys to roll left and roll right. Terrible! I didn’t like it, anyway. Proportional correction: apply some correction but limited by how much you’re moving the camera yourself. This way the camera never moves except when you’re moving it. I’m not sure which is best, but I documented all three in a short video. I’ve been noticing for a while an occasional bit of “pixel sparkling” on some of the walls. 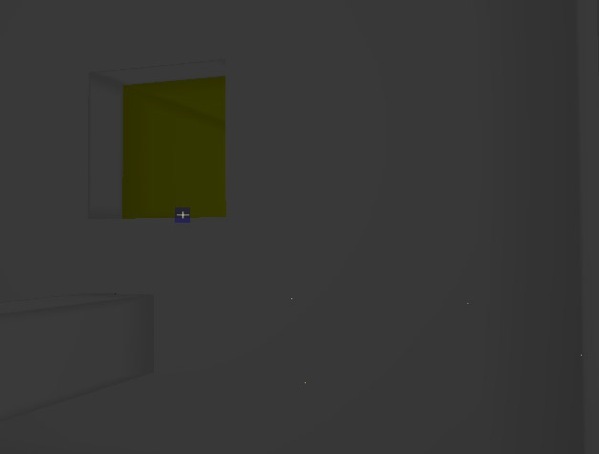 Those stray yellow pixels, which are the color of the next room over. 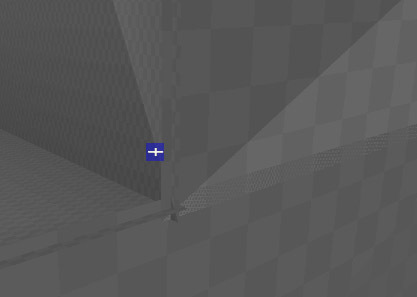 My theory is that it’s small gaps in my triangle mesh, maybe due to arithmetic round-off error. Ok! 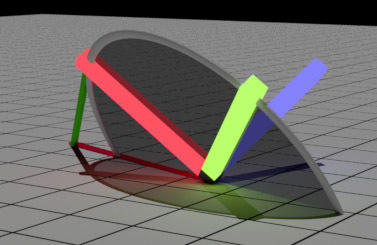 Let’s tweak the shader to show those triangles. Yup, that’d be it. When building the mesh, the geometry is initially only decomposed into rectangles. 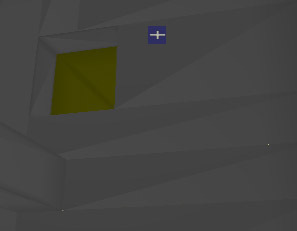 I notice: There are never sparkles on the rectangle halves. Great! I’ll just expand each rectangle slightly. Rooms in Metareal are generally about 10x10x10. (I think of it as meters… but it’s just “units”.) When I expand each rectangle by 0.01 (a centimeter? sort-of?) it fixes all the sparkles, sure enough, but makes a mess of the corners. I wonder: How “big” are these sparkles? 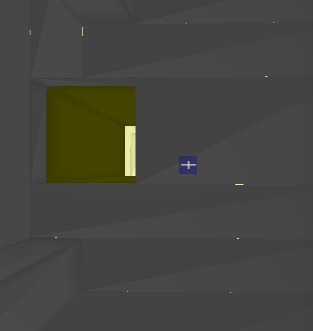 As an experiment, I shrink all the rectangles by 0.0001 (a tenth of a millimeter?) and sure enough… well… take a look. And expanding each rectangle by 0.0001 seems just right. No visible corner-mangling or overlap, and, as near as I can see, all sparkles gone. Always nice to resolve an ongoing irritation.